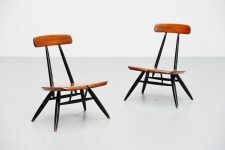 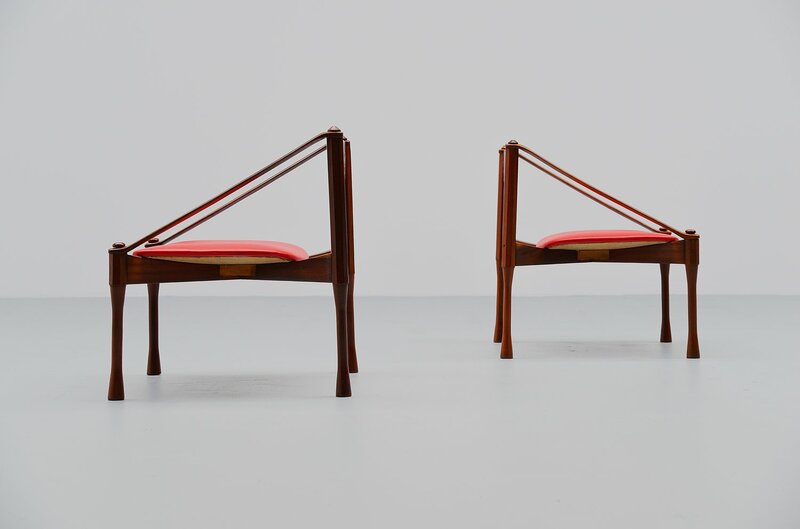 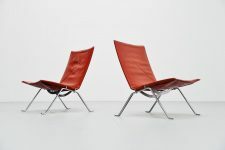 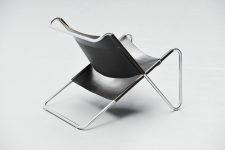 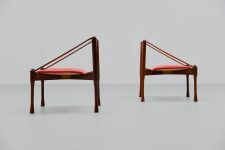 Amazing pair of lounge chairs designed by Giulio Moscatelli for Moscatelli, Italy 1950. 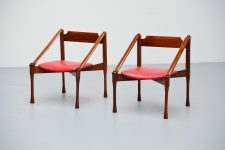 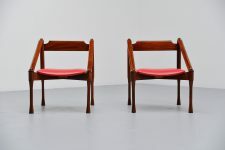 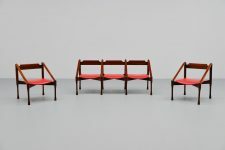 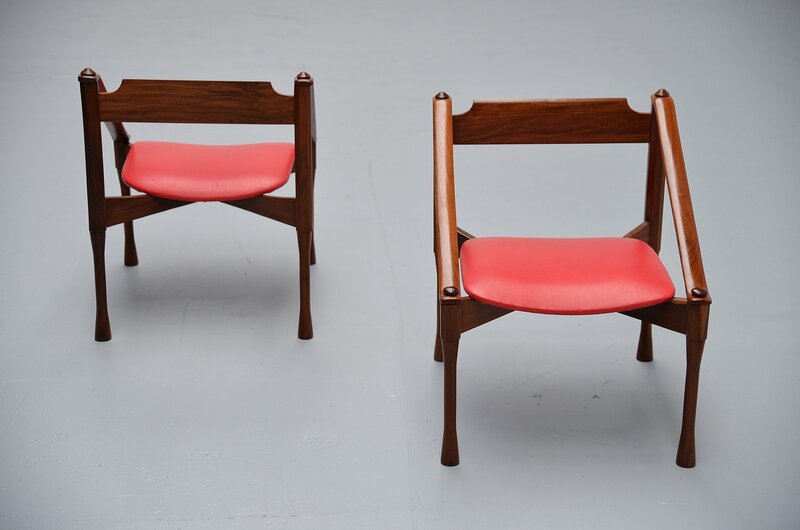 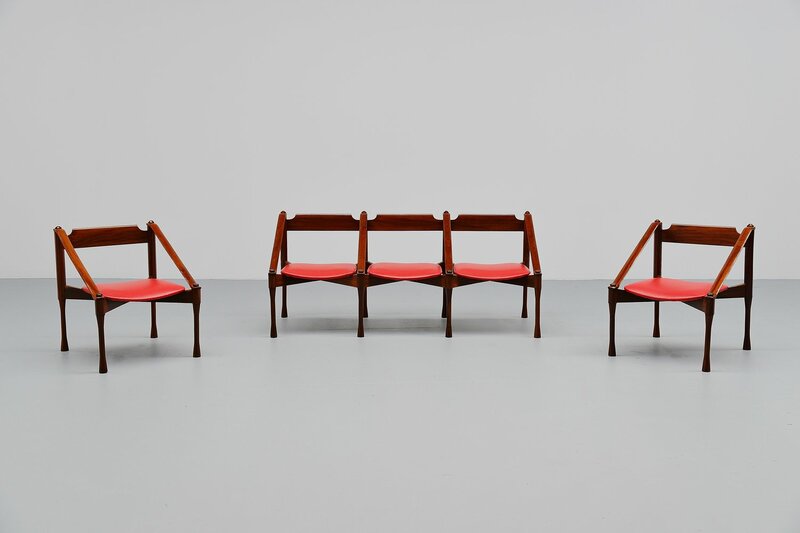 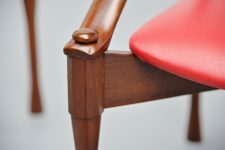 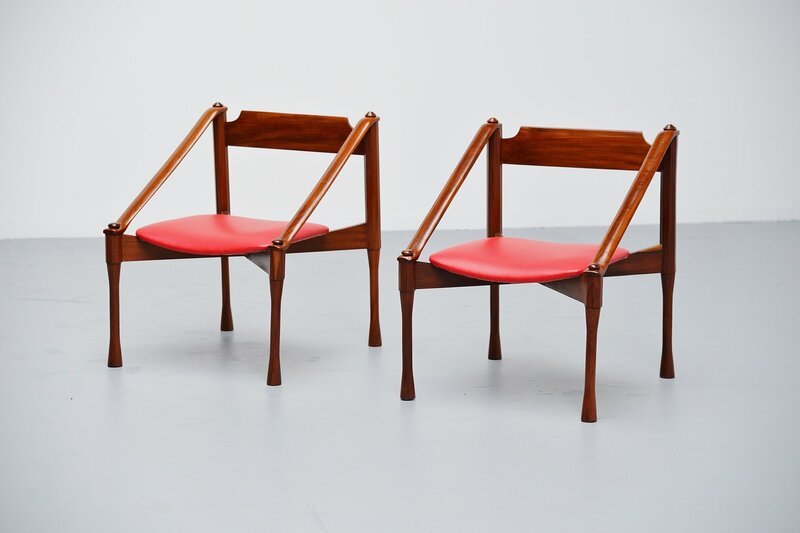 These chairs are made of solid Italian walnut wood and have their original red vinyl seats. 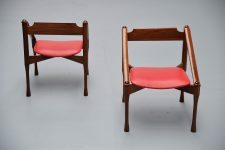 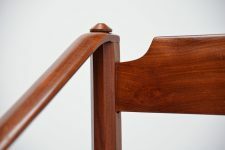 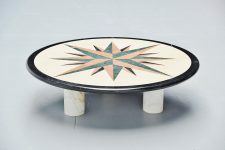 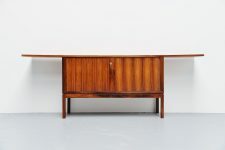 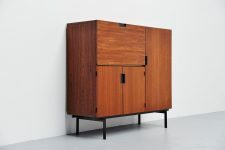 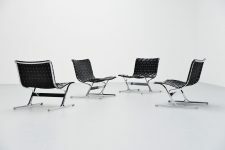 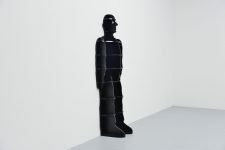 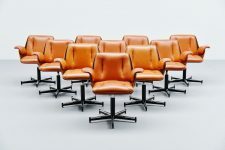 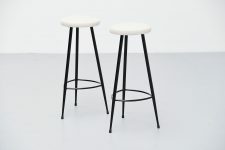 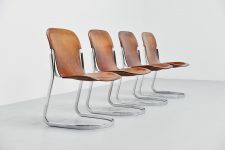 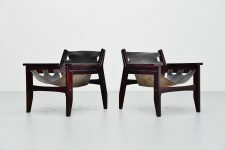 The chairs are amazing shaped and crafted into a very uncommon shape and size. 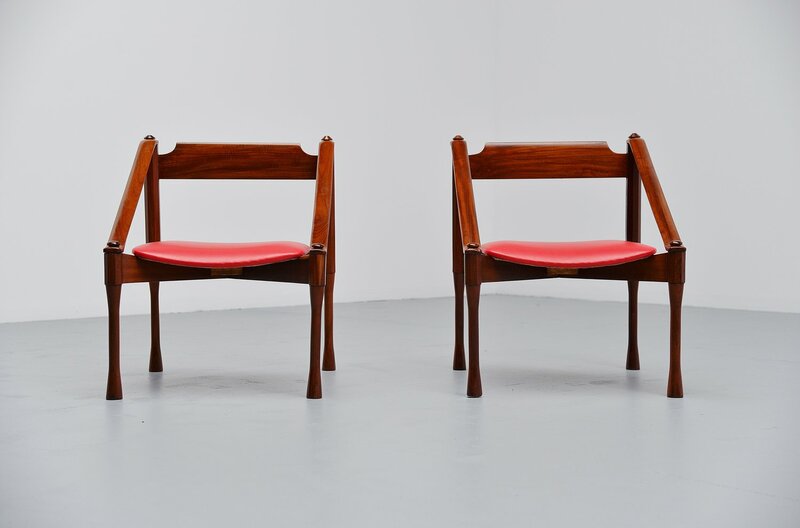 Very nice typical Italian pair of chairs in excellent condition. 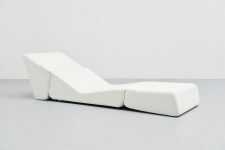 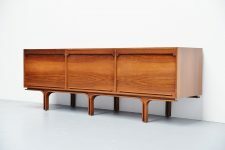 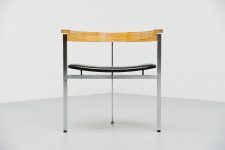 Have a look at the matching 3 seater bench we have from the same series.